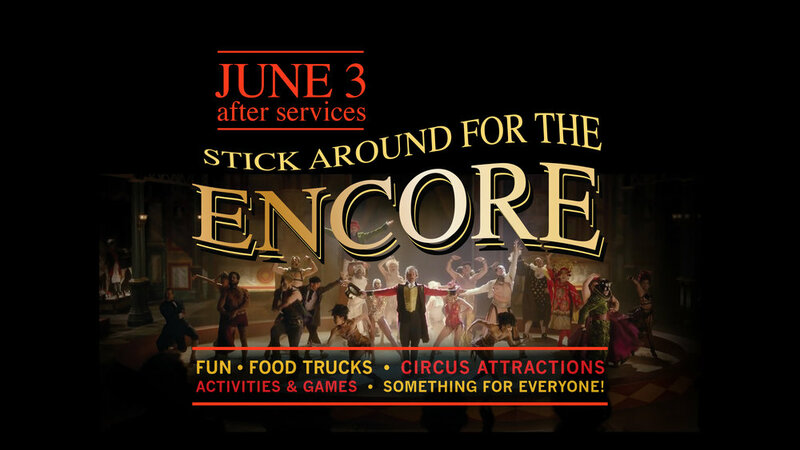 Make plans to stick around for the encore after each service on Sunday, June 3! We'll have circus attractions, games, activities, and treats. There will also be food trucks on-site for you to purchase snacks or lunch for the family. Don't forget to stop by the DJ booth to submit your name into the raffle for free giveaways. Invite your friends and neighbors, and kick off the summer at Pathways Church on June 3!